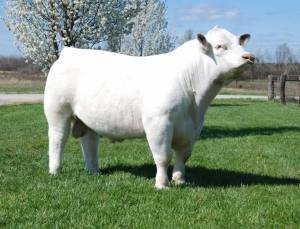 A great outcross sire for virtually any Charolais pedigree. Game Changer will add softness and performance in a moderate, super attractive package. 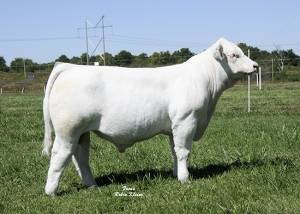 Game Changer was 2012 Reserve Champion Breeders Classic Bull at the American Royal; Champion bull at Ozark Empire Fair and Tulsa State Fair; division champion at Missouri State Fair; Class winner at National Show in Ft. Worth. 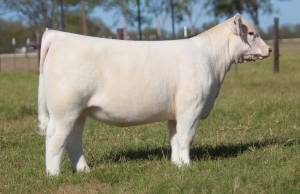 He and his full sister were National Champion Produce of Dam in Ft. Worth. His dam also produced the Canadian Agribition Reserve Champion bull in 2009.